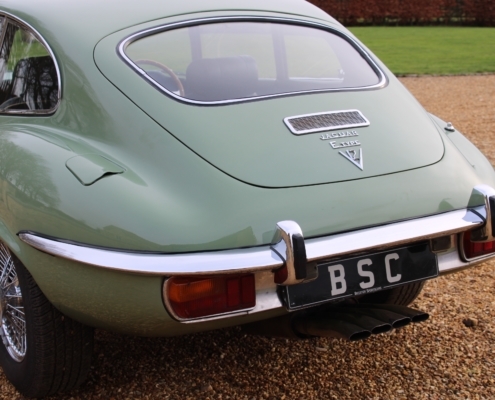 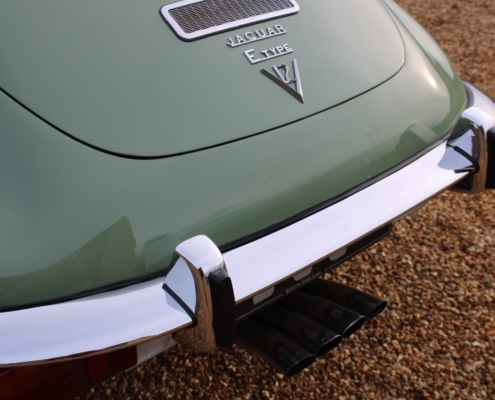 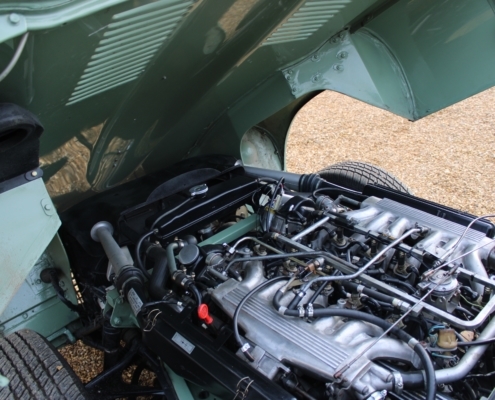 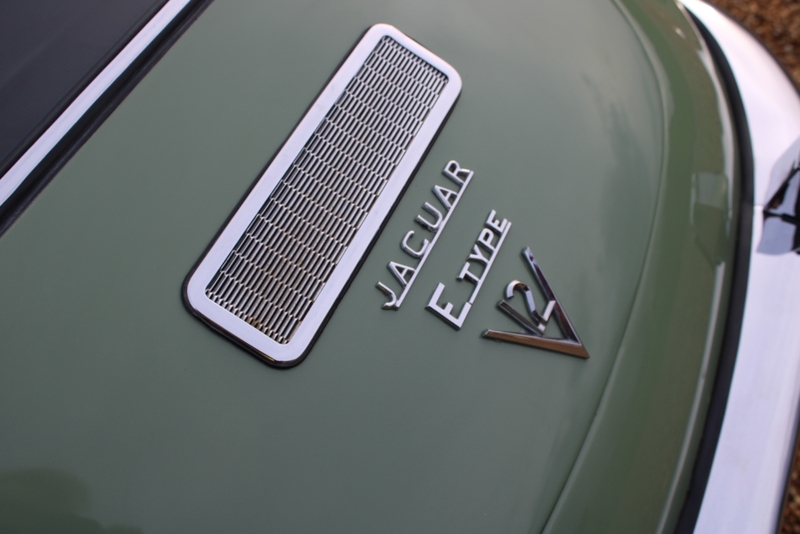 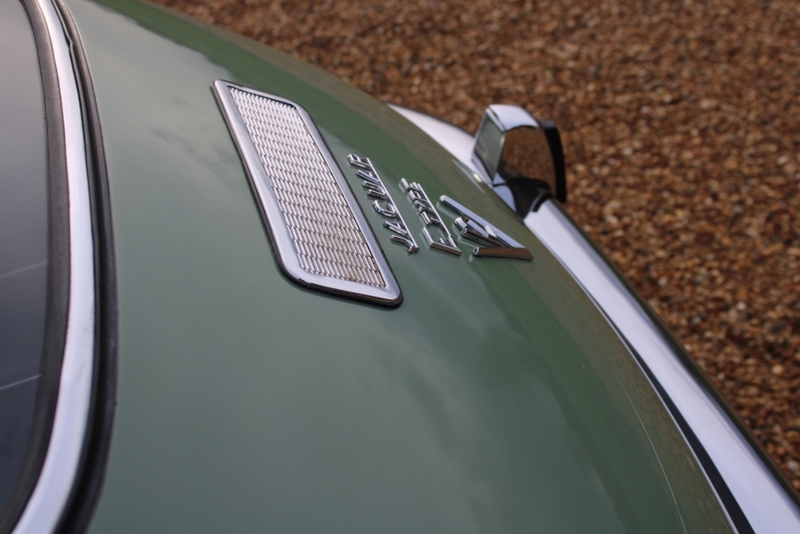 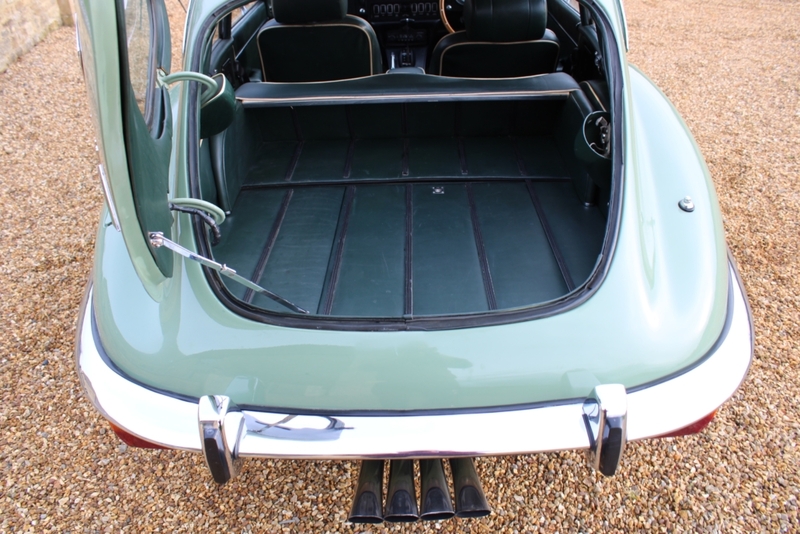 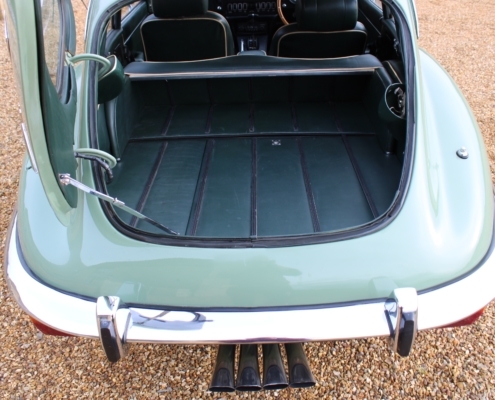 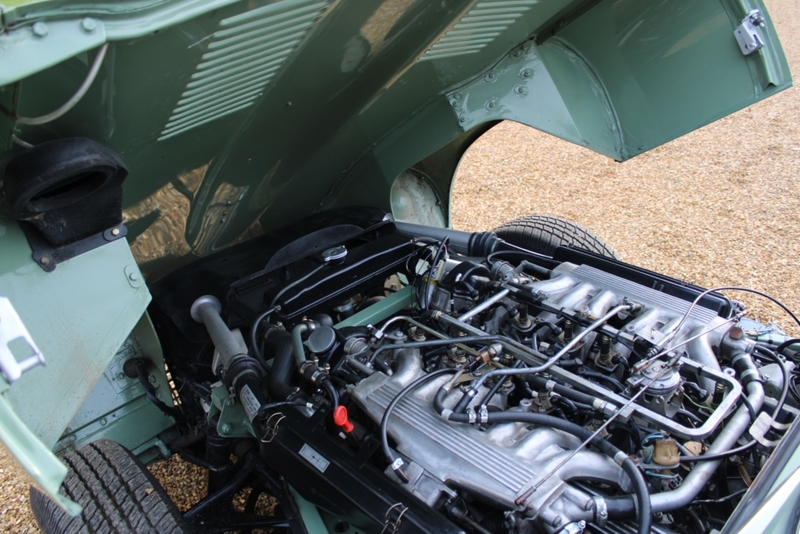 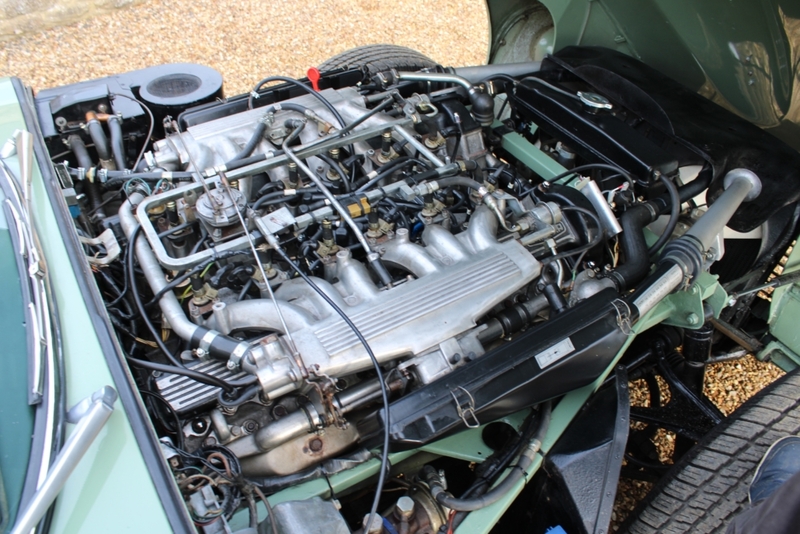 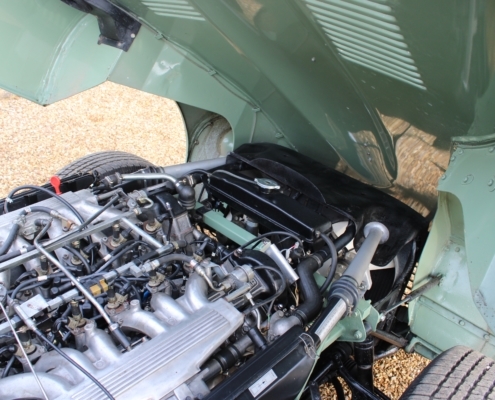 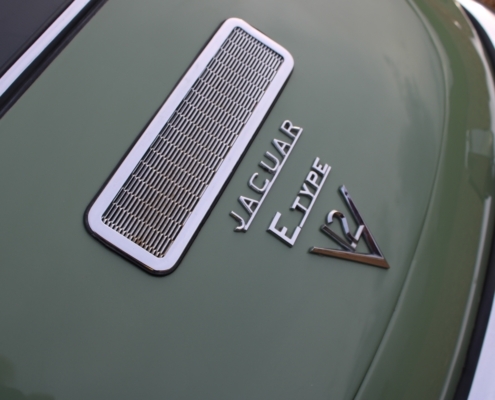 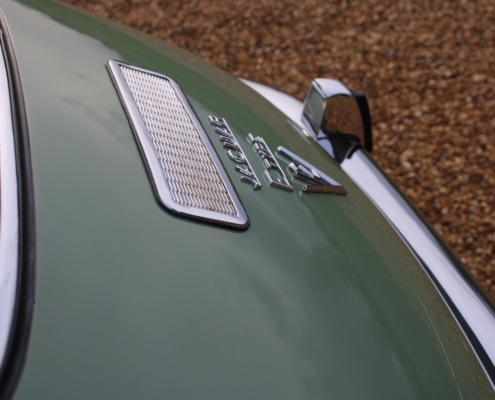 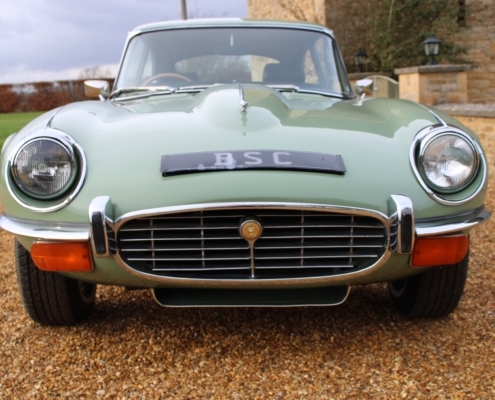 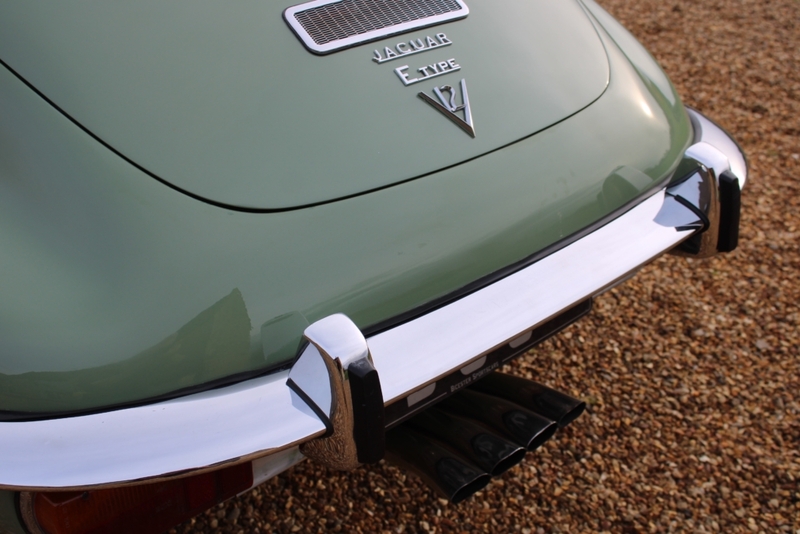 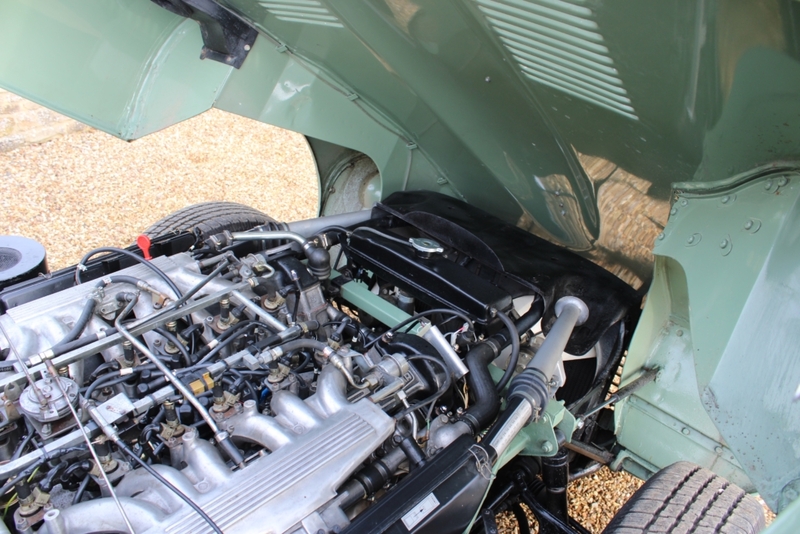 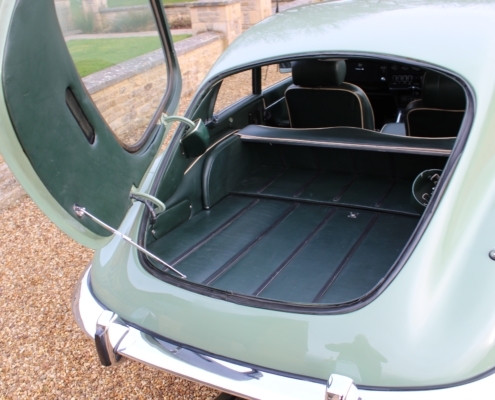 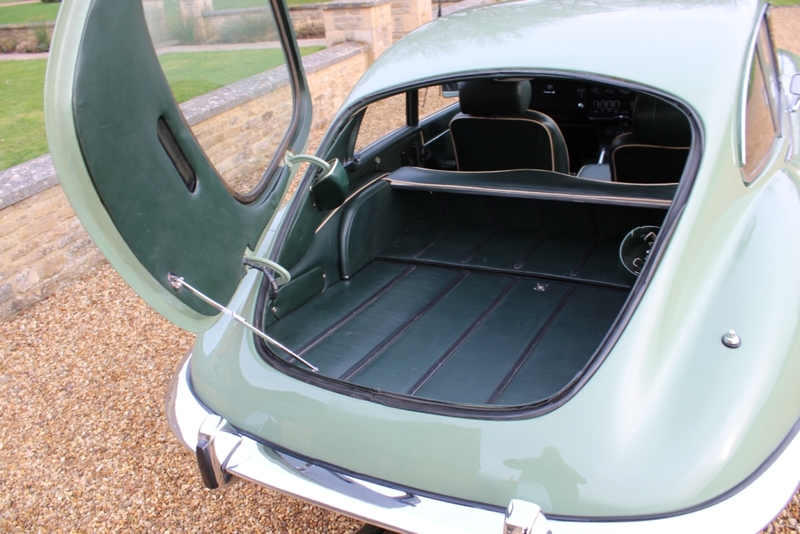 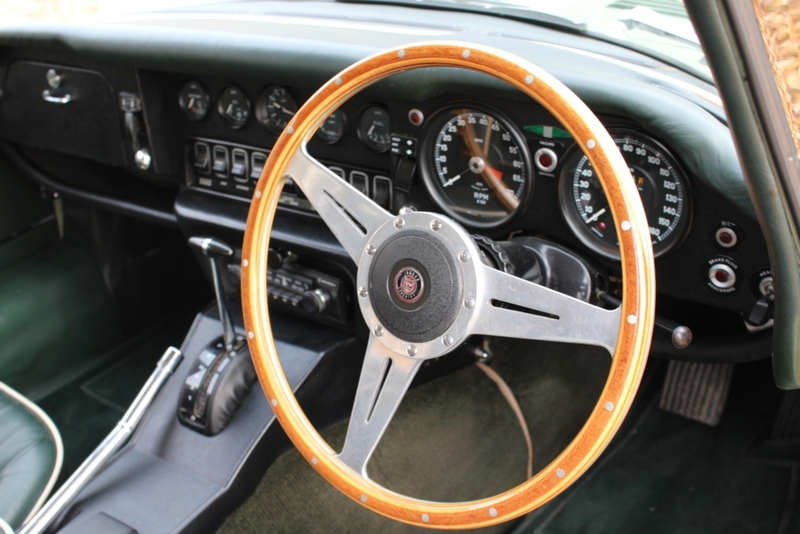 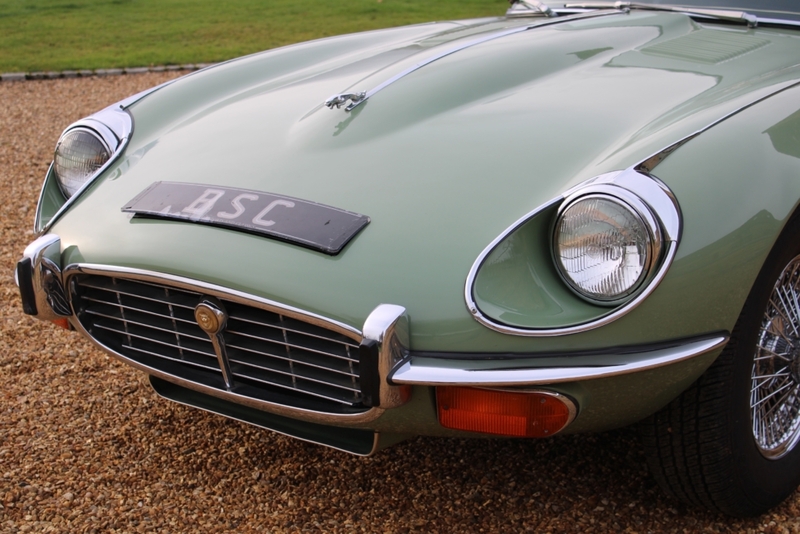 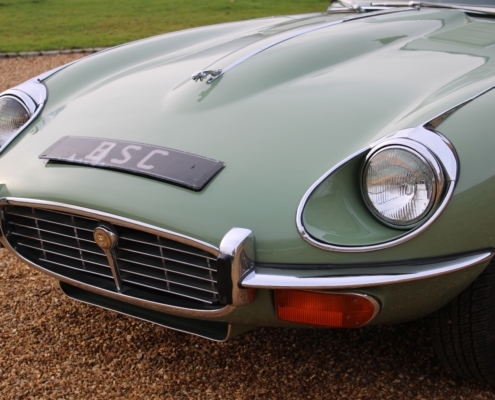 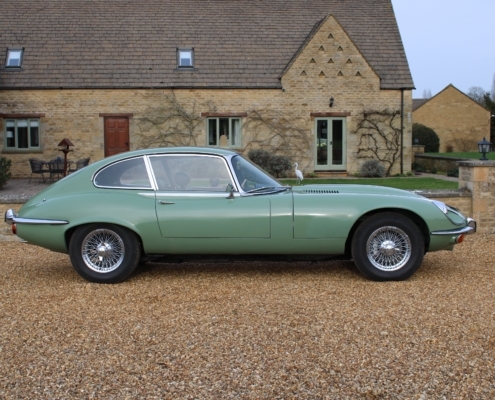 By the series 3 Jaguar had developed the E Type to be an easy to use Grand tourer with long legs and comfortable for even the tallest drivers unlike the earlier models (our tallest customer was 6 8″). 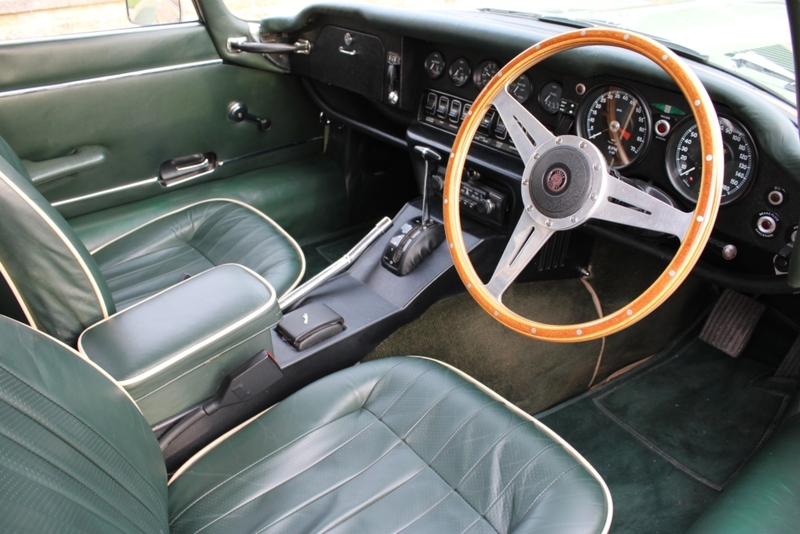 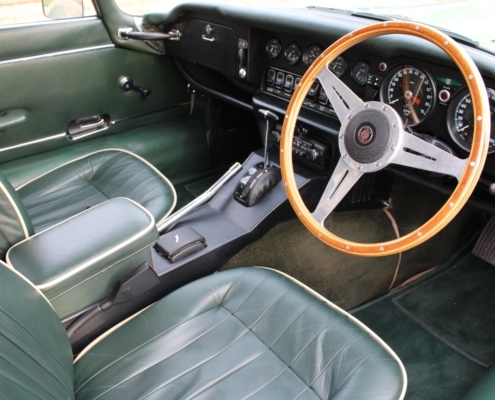 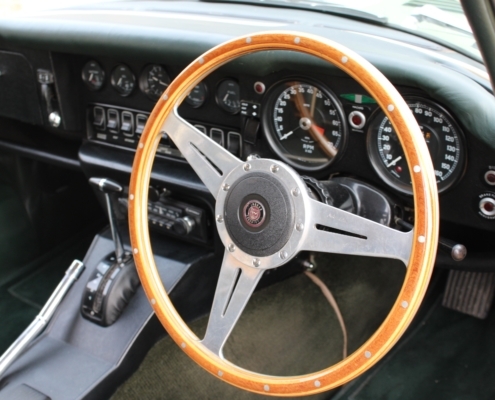 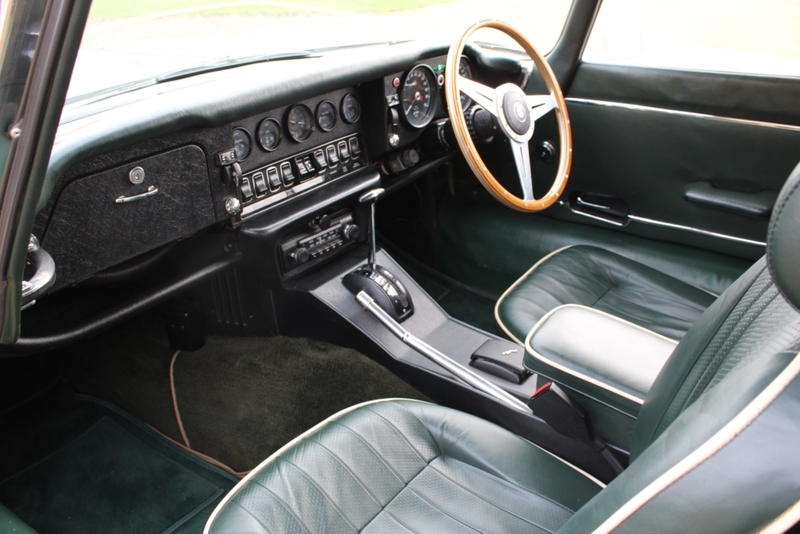 So instead of crunchy Moss gearboxes and demandingly heavy steering, you had power steering and even a smooth auto gearbox making this a great proposition for the 1970s motorists. 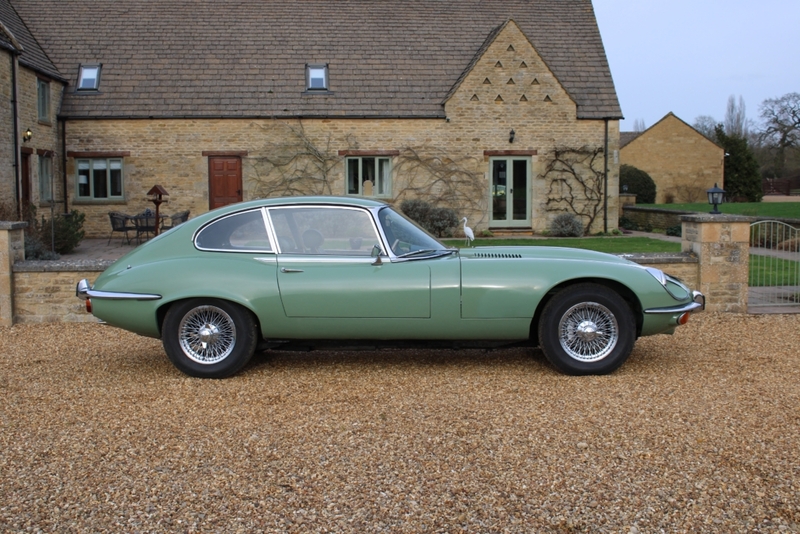 This is a lovely 2 plus 2 example supplied by Henlys London in February 1971 and always remaining in the UK, unlike many E-Types. 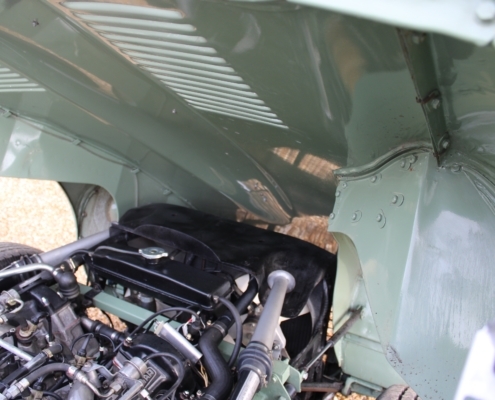 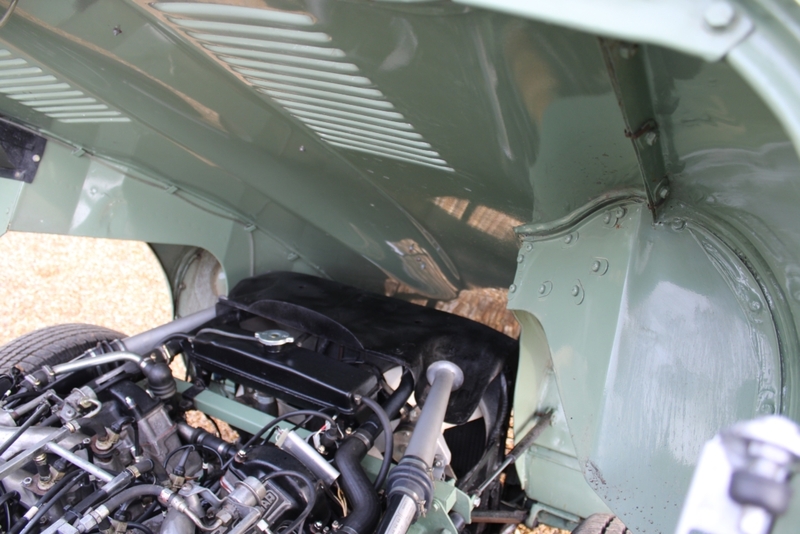 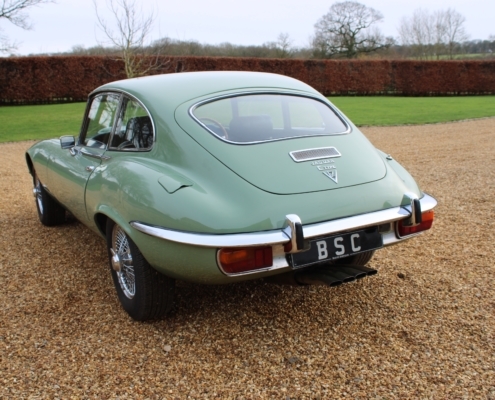 She has been continually maintained to a high standard with invoices dating back to the 1980s including restorative works and a complete engine rebuild in 2005 costing £13,500, she has covered around 15000 miles since then. 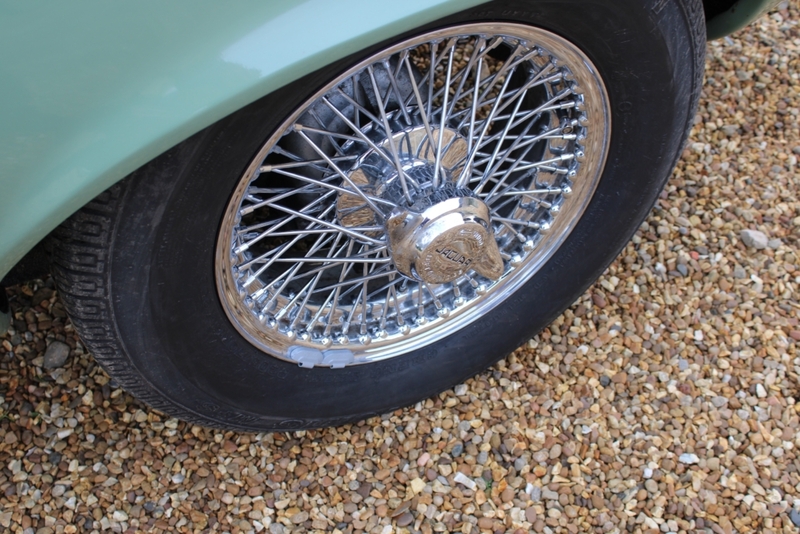 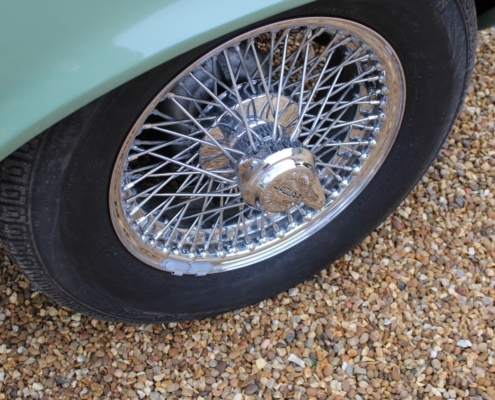 More recent work includes suspension, brakes and tyres all the work has been documented in the large history file including the heritage certificate, handbooks etc. 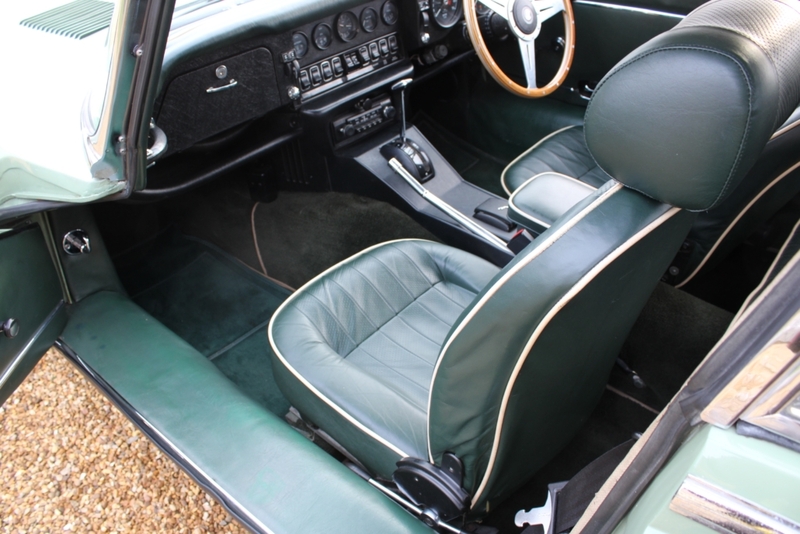 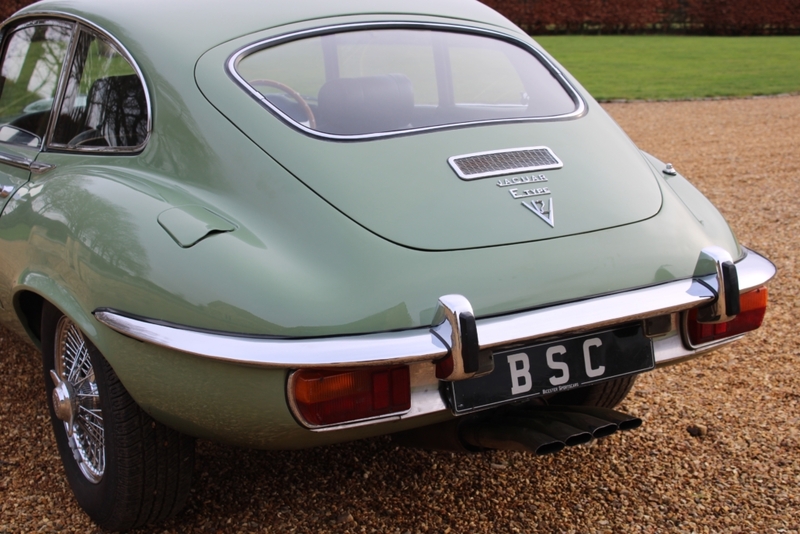 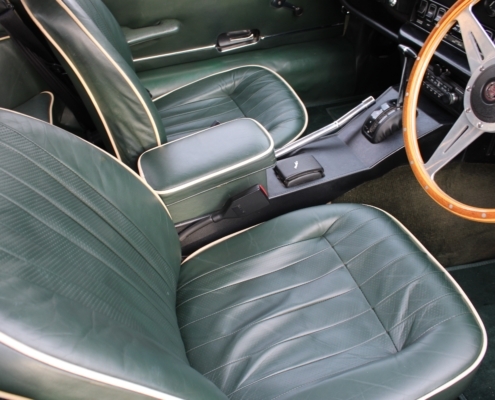 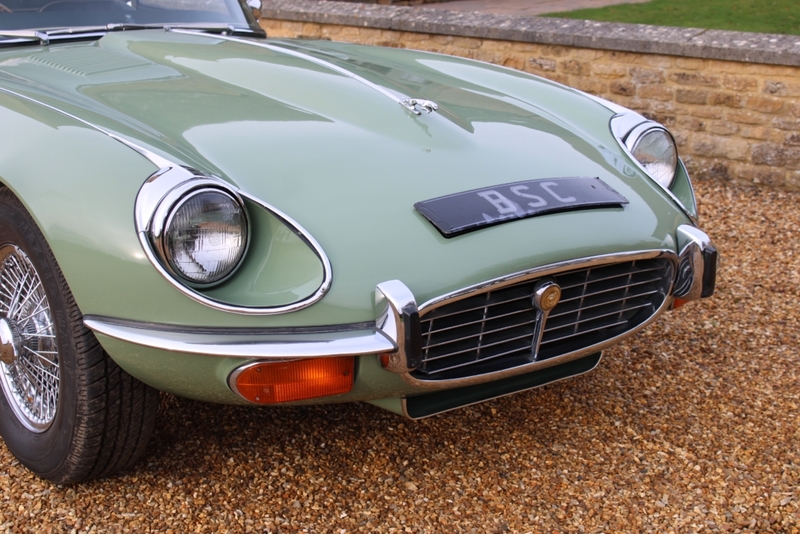 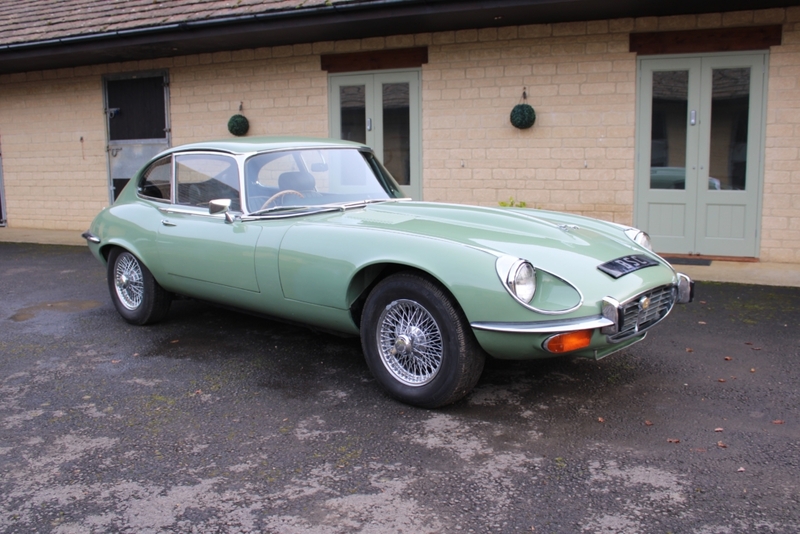 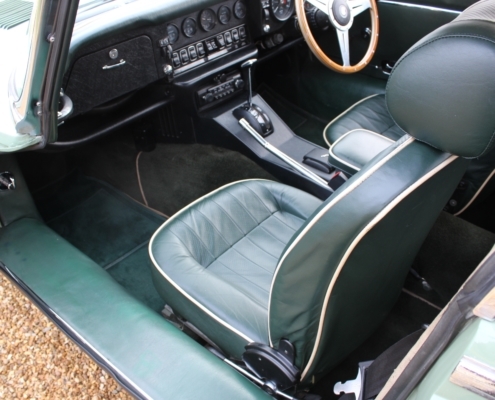 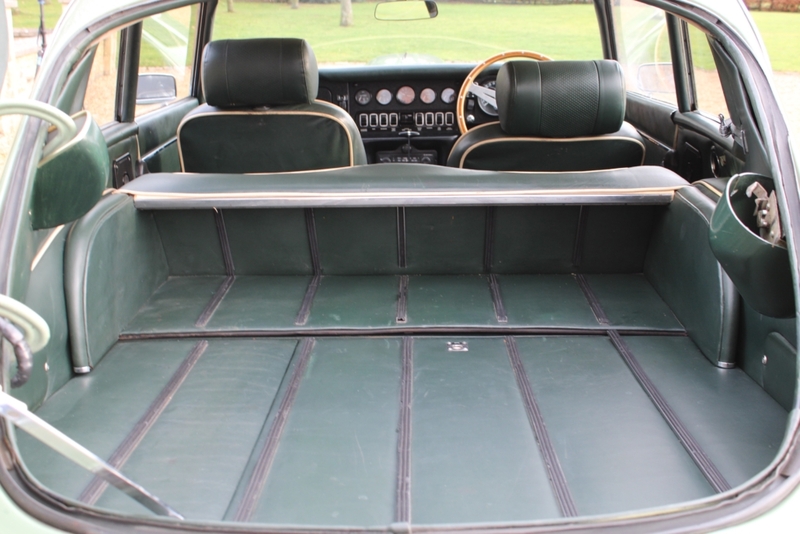 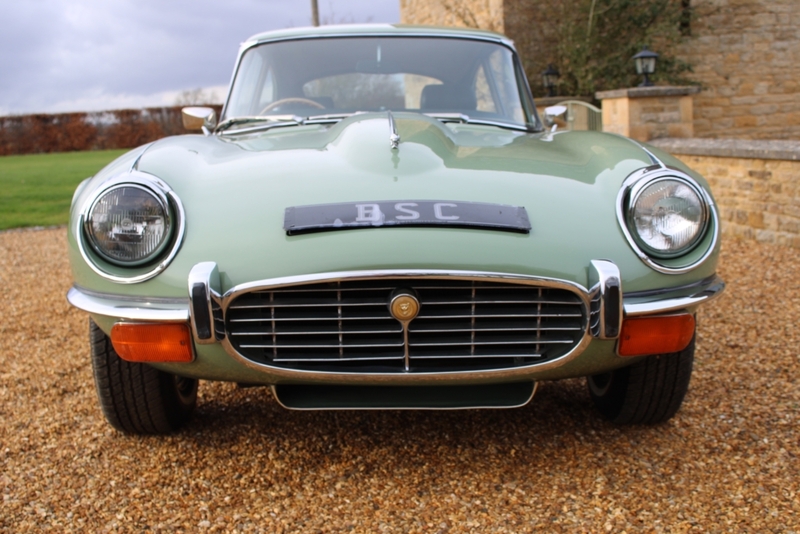 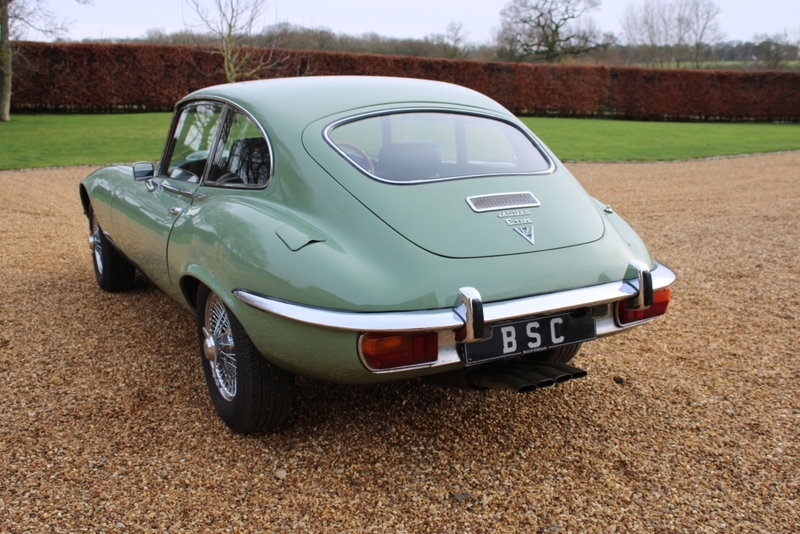 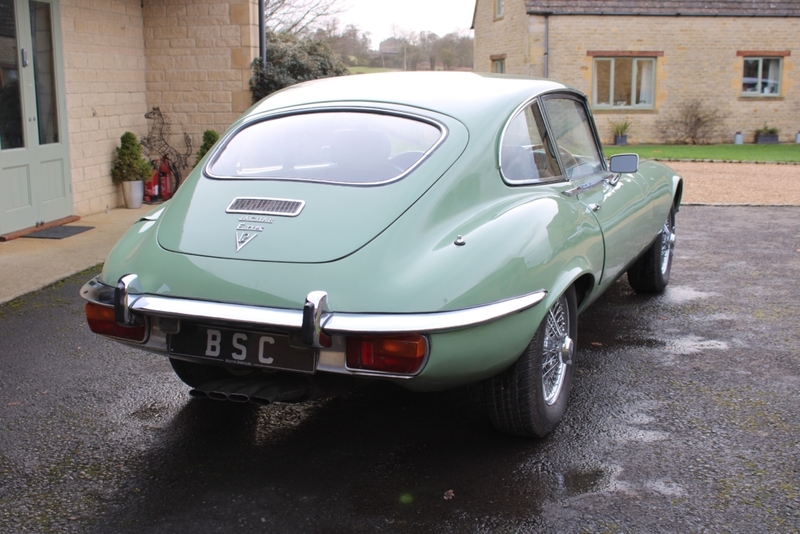 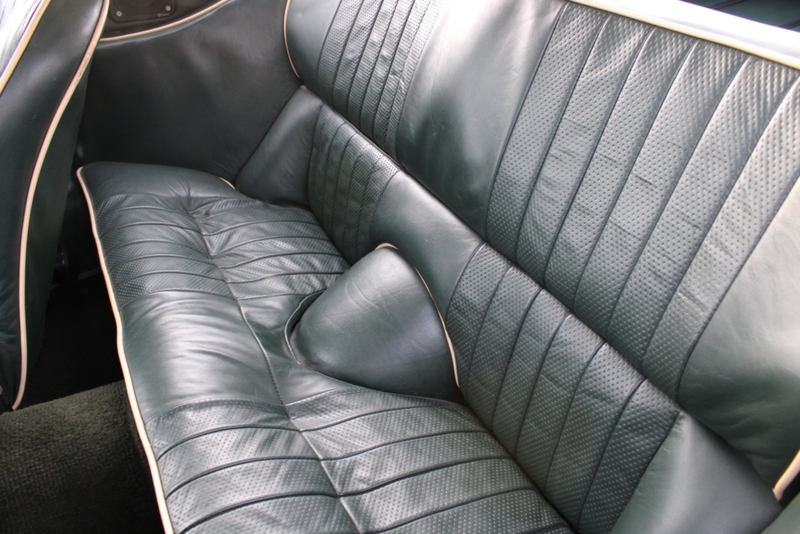 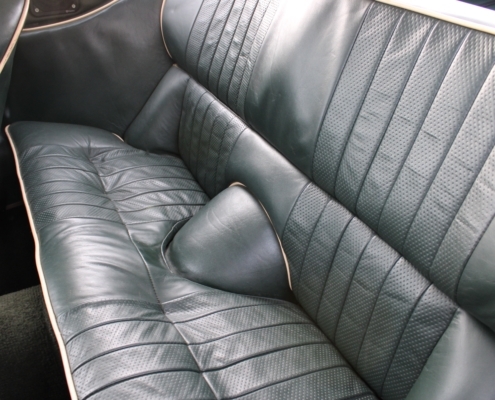 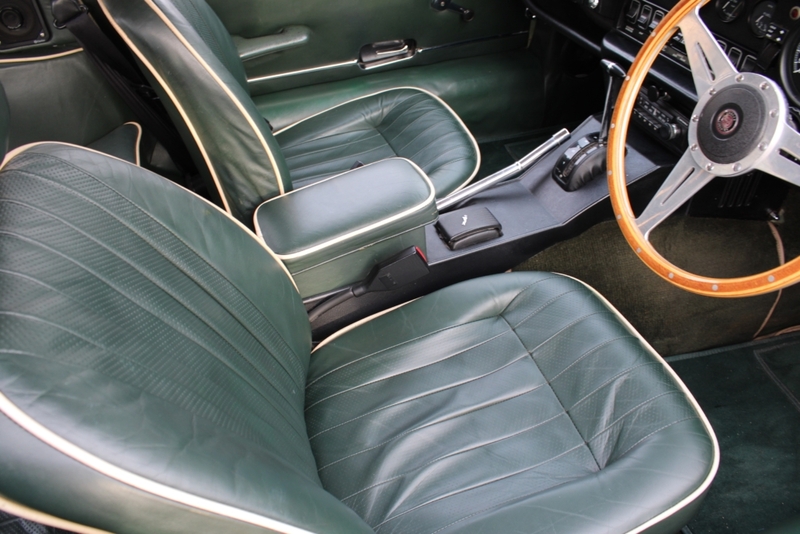 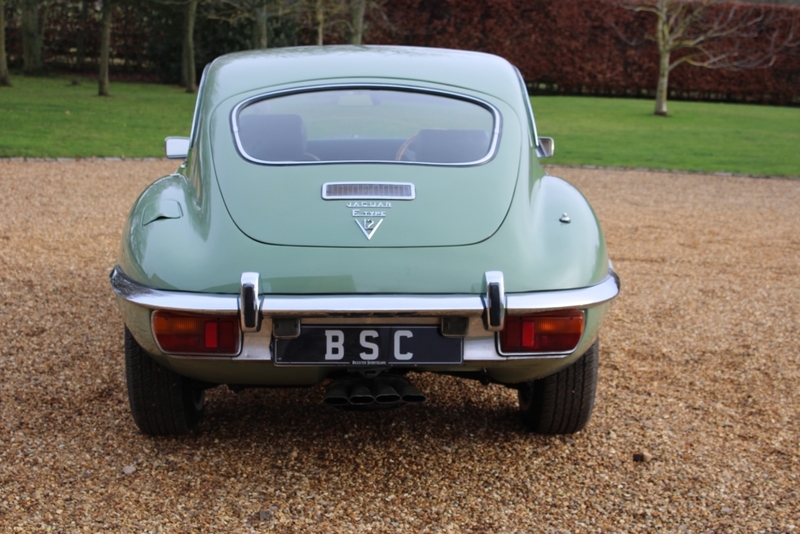 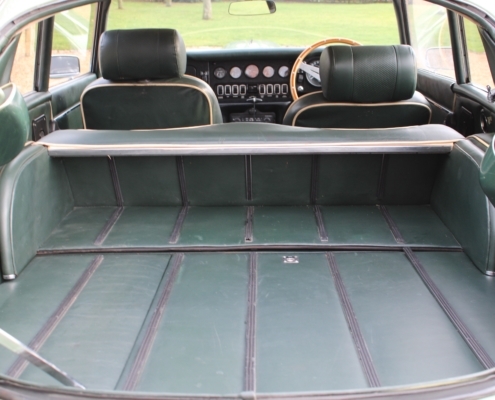 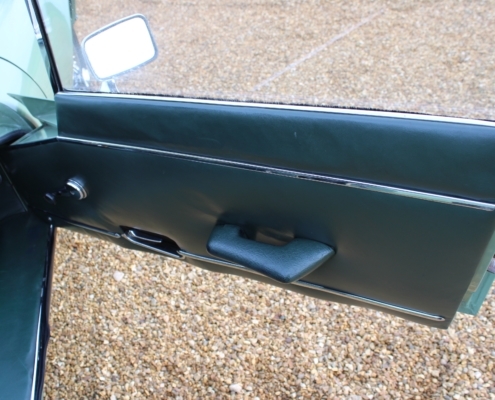 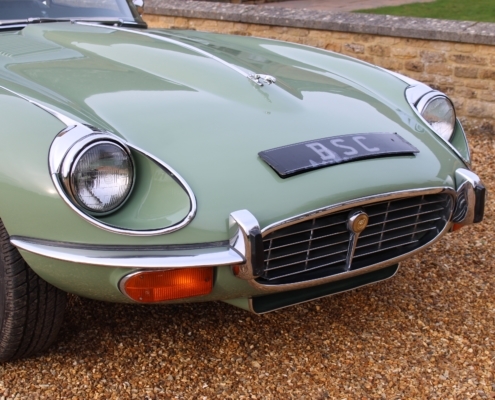 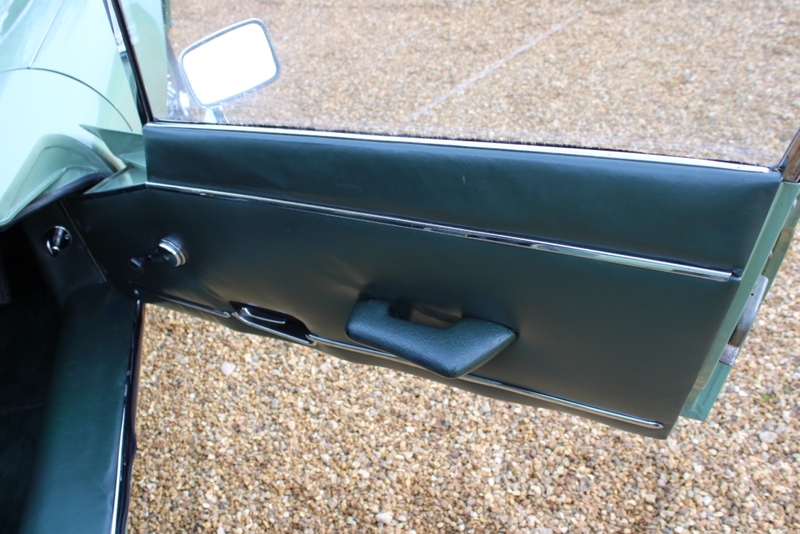 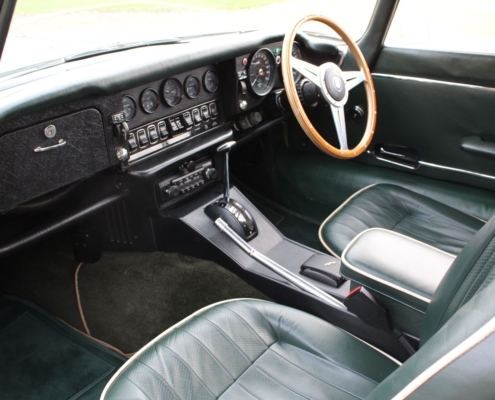 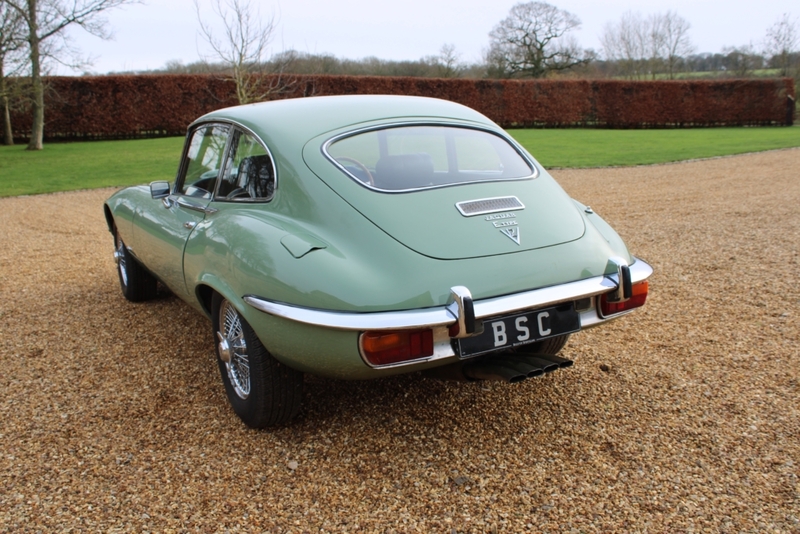 Finished in rare Willow green with dark green leather she is a stunning car and superb to drive the benefits of the constant maintenance shining through as she is very tight and quiet even at high speeds. 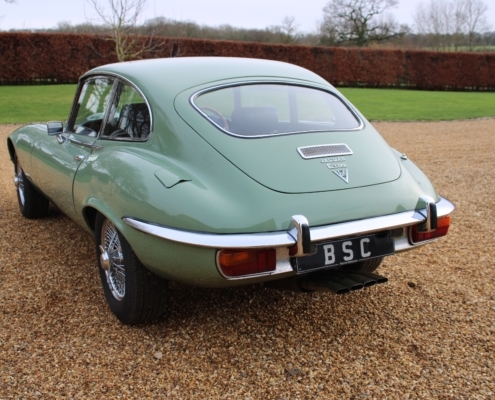 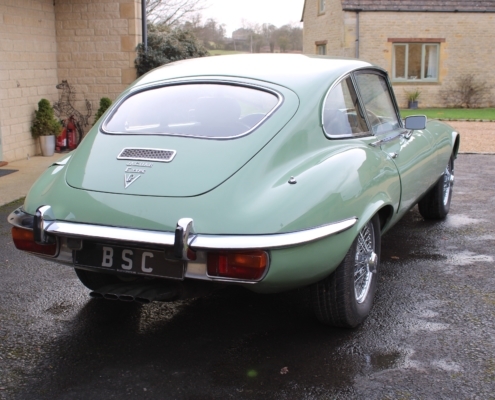 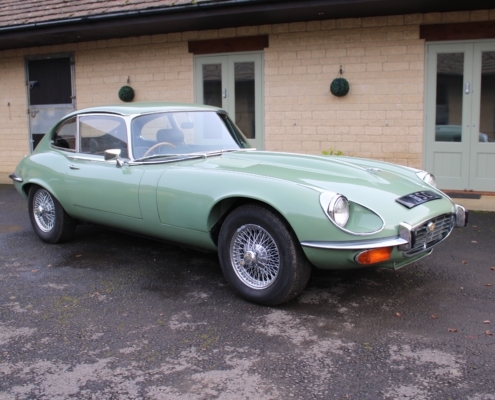 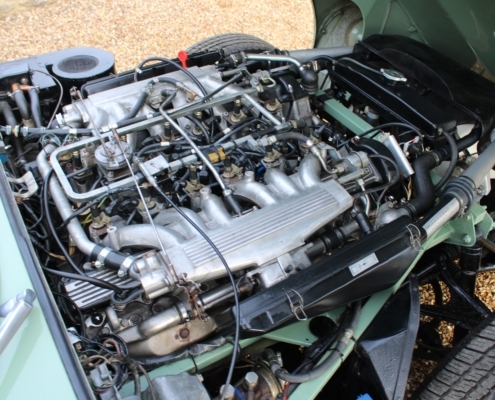 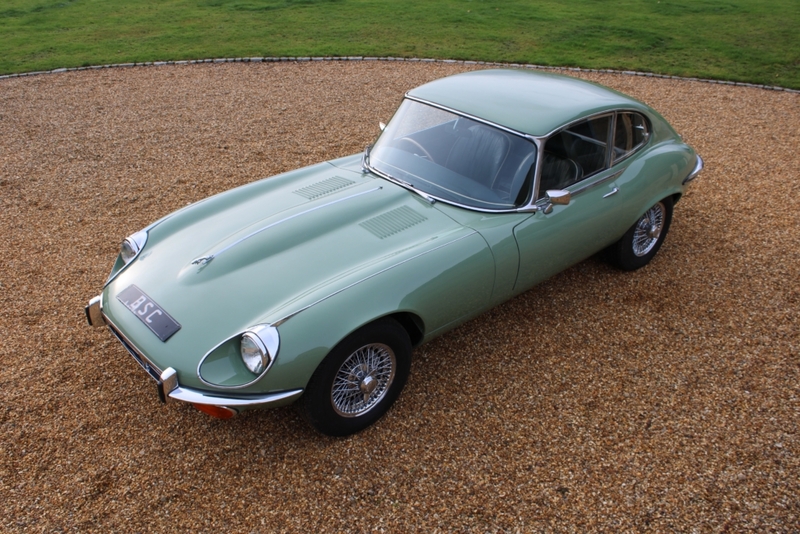 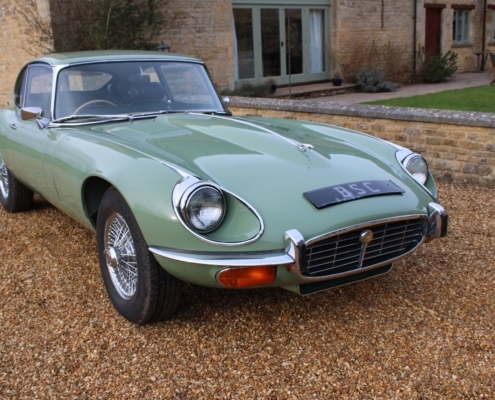 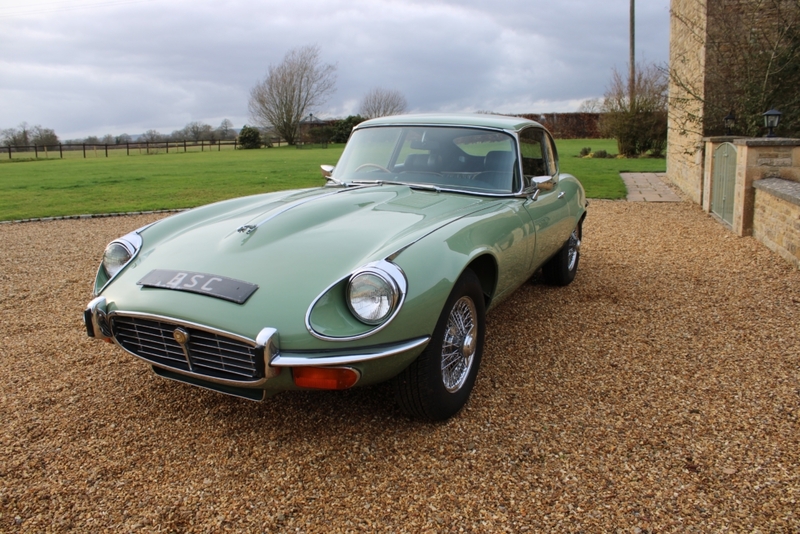 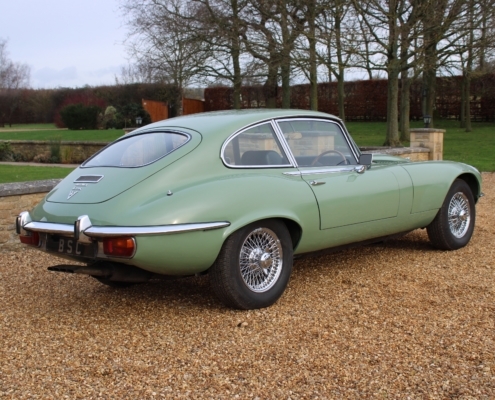 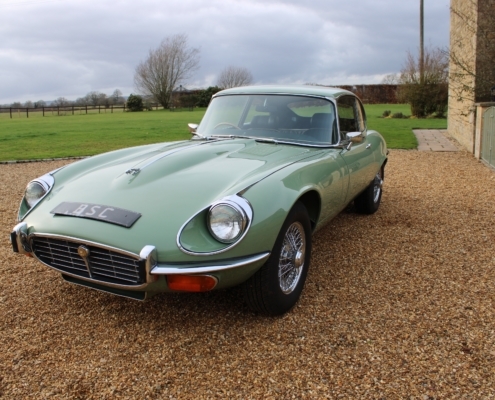 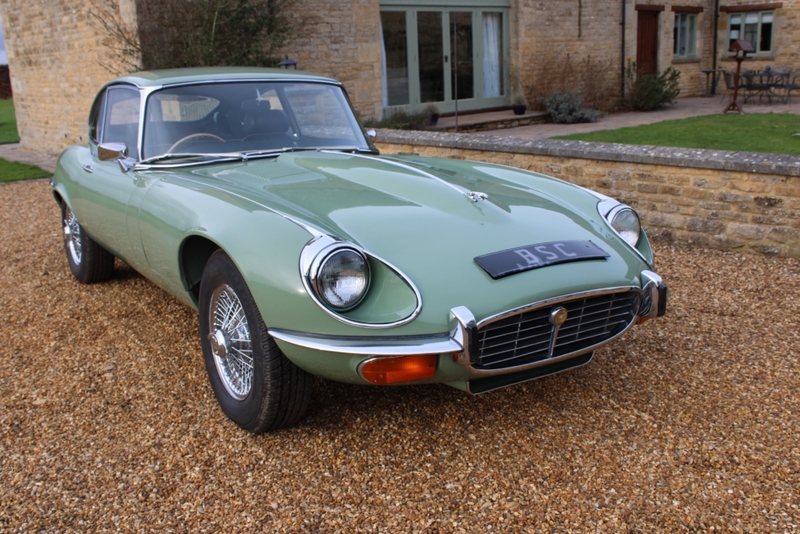 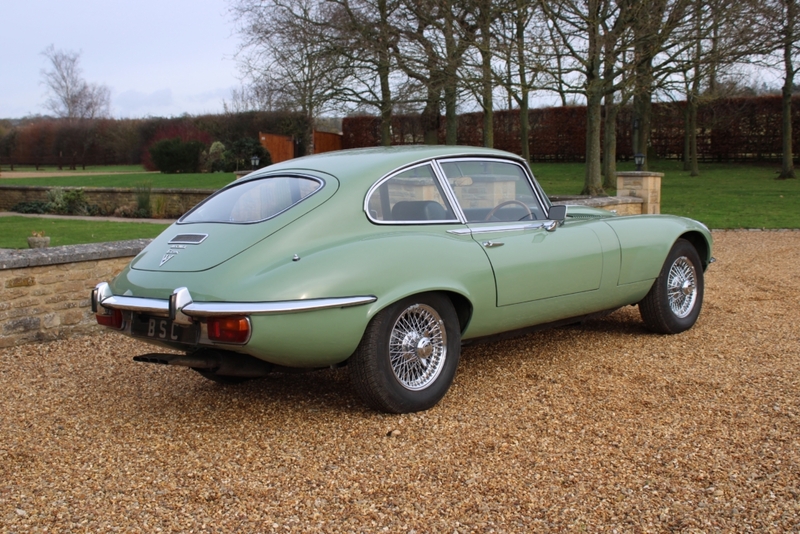 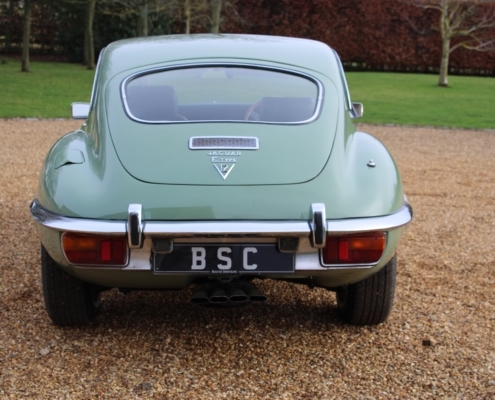 With only 5 owners the last one for nearly 10 years this is a great proposition for the classic buyer who wants an exciting E Type without the downsides of the earlier cars.